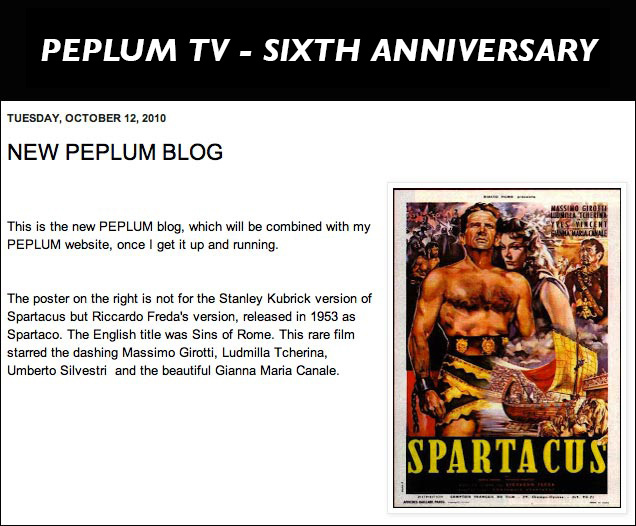 This month marks the 6th anniversary of PEPLUM TV (7 years if you count the number of actual years). I don't know how much longer I'll be doing this. As long as I still enjoy it, I guess. You do a marvellous good work showing us all these great movies and especially the "behind set" photos. Congratulations!I love your pages,peplum for me are drugs! By the Lame Foot of Vulcan, keep it up!